Fido will be happy to hear that Boar's Head Inn has dog-friendly rooms for K9 companions who weigh less than 50 pounds. To make things even better, our resort sits on 573 green acres so there are plenty of things to sniff and lots of room to roam. Just a few steps from our dog-friendly rooms is a relief station and direct access to rolling nature trails that meander more than two miles into the adjacent woodlands. We even have two nearby lakes in case your fur-faced companion gets a little warm and wants to go for a puppy paddle. 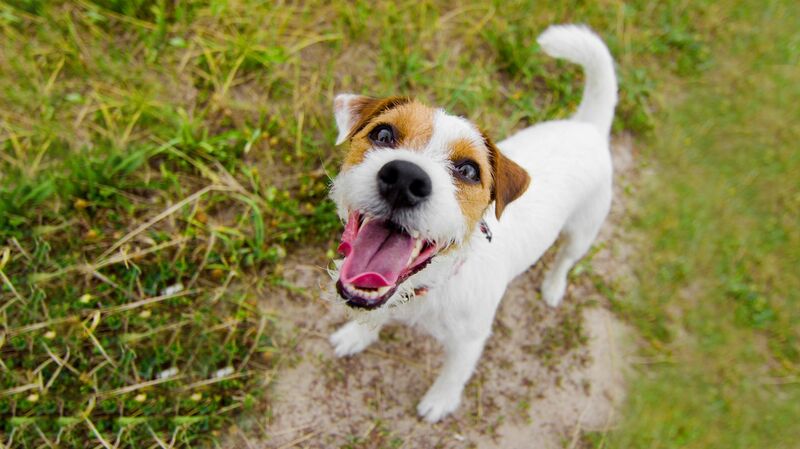 Boar's Head Resort is truly doggie paradise for your 4-legged friend! 1. Guests should display the special Boar’s Head “Let Sleeping Dogs Lie– Do Not Disturb” sign to alert housekeeping that a pet is in residence. 2. Do not leave dog alone in room without being crated. If there is excessive barking, the guest will be notified, and proper action will be taken. 3. Guests are responsible for pet waste clean-up inside the hotel and throughout the property grounds. 4. Boar’s Head reserves the right to remove guests whose pets are deemed noisy or disruptive. 5. Dogs should be leashed or restrained at all times in public spaces in the hotel or on the property. Dogs should also be supervised at all times. 6. Dogs are not allowed in specific public areas including: lobby, restaurants, Boar’s Head Sports Club, Birdwood Golf Course and the pools. 7. Guests are responsible for all personal injuries and/or property damage related to their dog(s). *Limited Inventory and specific room type only. Not open to all room types. A non-refundable pet fee will apply to your stay. Please call our Reservations Department for additional details and to book.